WSWD’s founder set aside an entire week to explore the parts of NYC she’s never seen before, from the Coney Island boardwalk to the most relaxing garden in Staten Island. Before the summer heat began in earnest—and, most importantly, before my son went off to sleepaway camp and my oldest daughter left for an adventure in Thailand—I wanted to explore NYC and spend some quality time with my family. I’ve lived in Manhattan almost my entire life, but I’ve rarely explored the other four boroughs. So with the help of the experience advisers at What Should We Do? 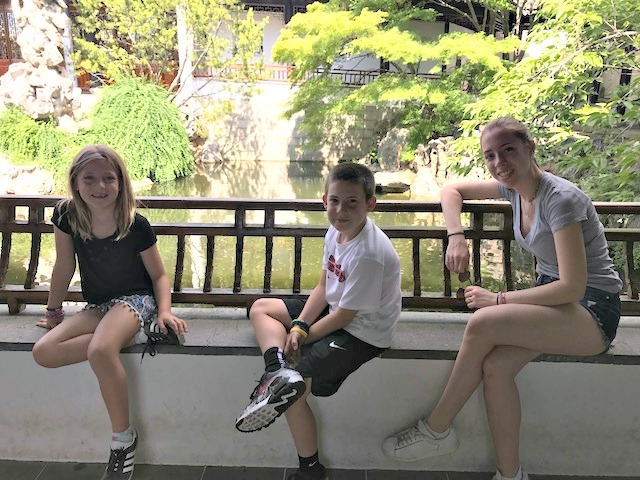 !, my kids and I planned a five-day staycation determined to hit up incredible spots, restaurants, and shops in every borough. Day 1 Queens: Here we visited the Museum of the Moving Image. At the “Video Arcade” exhibition we played Tree Frogger, Tron, and Pole Position (my favorite!) on original, fully-restored arcade games from the ’80s; it was so cool to share that part of my childhood with the kids. 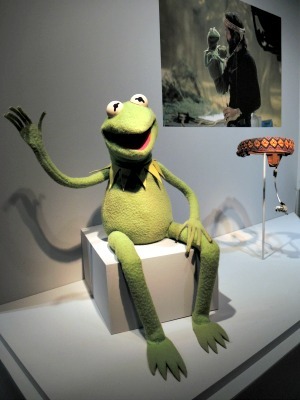 We’ll have to go back for “The Jim Henson Exhibition” when the kids return home! My kids grew up with Elmo, but I was a huge fan of Miss Piggy when I was little (I read her Guide to Life cover to cover!). For lunch, we stopped at Taverna Kyclades in Astoria for the best Greek food in NYC. The saganaki, rib eye, chicken kabobs, and whole fish with fries were all cooked to perfection. Day 2 the Bronx: We stopped at the New York Botanical Garden’s Pine Tree Café for a breakfast of croissants before descending on the gardens. My kids ran straight for the tram tour, which is a great way to get a lay of the land in a short amount of time. I was transfixed by the Peggy Rockefeller Rose Garden, truly one of the world’s best, with more than 650 varieties of the flower. We took a self-guided tour of the “Chihuly” exhibition, too. 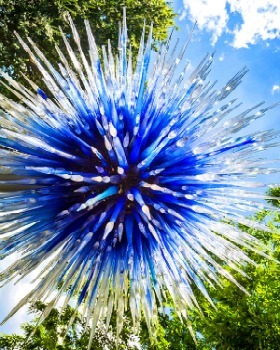 The glorious, glass sculptures are placed throughout the garden, and we had a ton of fun running around trying to find them all. Day 3 Manhattan: Back on home turf, the gorgeous and fascinating Museum at Eldridge Street in the 1887 Eldridge Street Synagogue was our first stop. 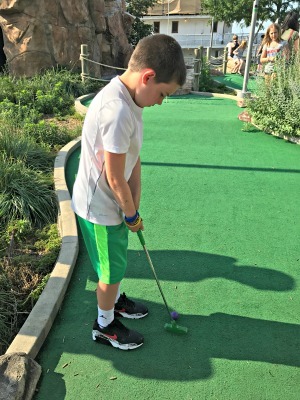 From there, we explored the neighborhood, had lunch at Scarr’s Pizza; discovered The Great Frog, a cool British shop for rock-and-roll–inspired jewelry; and shopped at Mr. Throwback, my husband’s favorite spot for vintage sports jerseys. Then we doubled down on ice cream at Sam’s Fried Ice Cream and 10Below Ice Cream before ending the day with a game of mini golf at Pier 25. Day 4 Brooklyn: We went straight to Coney Island! Can you believe we’ve never been before? The kids loved it, of course. 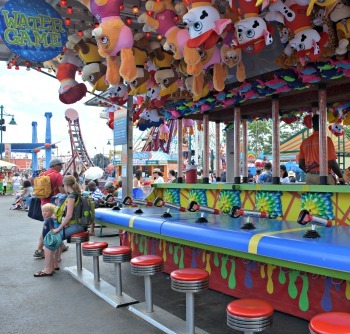 The highlight for them: all the swag they won at Luna Park NYC—two Pokémon stuffed animals, a giant stuffed poop emoji (keeping it cool while wearing sunglasses), and an oversize whoopee cushion. We ate funnel cakes and a couple of Nathan’s famous and even shopped a bit on the boardwalk (Lola Star has really fantastic T-shirts). Day 5 Staten Island: Manhattanites often give the isle a bad rap, and I’ll admit, I haven’t made much of an effort to get to know it over the years. But our day at Snug Harbor Cultural Center & Botanical Garden was our favorite of all of our borough adventures! Snug Harbor was much larger than I expected, and we had a blast following the map through the grounds to get to the Chinese Scholar’s Garden, an absolutely incredible re-creation of Ming Dynasty gardens from the 14th and 15th centuries. 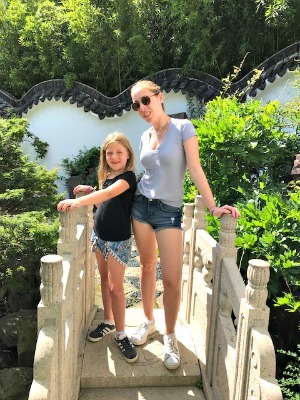 We ambled up the coolest bamboo forest path, found the koi pond, discovered waterfalls, and walked around all eight Chinese pavilions. My kids loved it so much, they asked if we could bring the dogs and move in! They had to settle for the promise of coming back soon. On the way home, we stopped at Crispy Pizza right outside the complex for delicious slices. What an incredible day—and an incredible week. If you’d like an NYC adventure of your own, get in touch. We can plan a complete day in any of the boroughs—or all five!